When you wander through London’s streets you never know what you might find. That is the thrill. At the weekend I went for a quick walk around my neighbourhood and, on Millfields Road, there was a derelict house that had been boarded up with PVC panels. 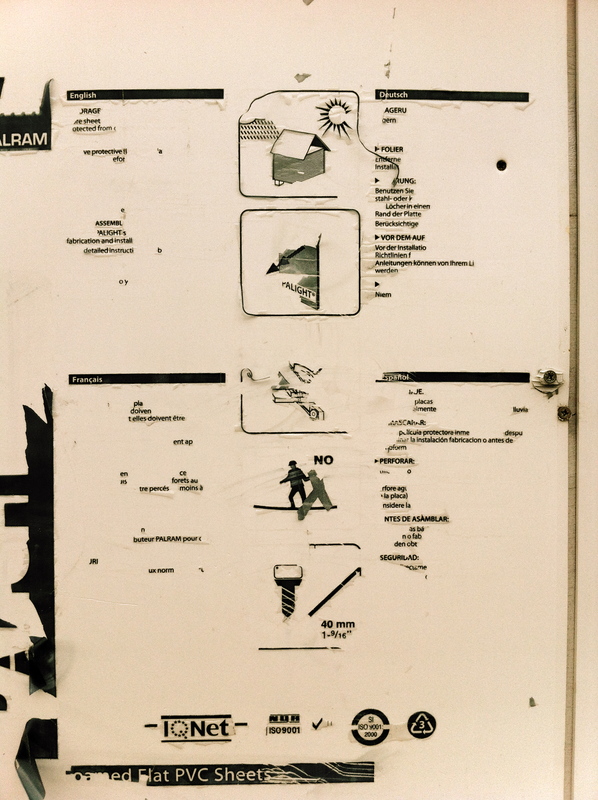 The security instructions were peeling off, creating a whole wall of found poems. Click on the image to zoom in. Notice how the frame of the diagram at the top is peeling away as if it had melted under the heat of the sun. 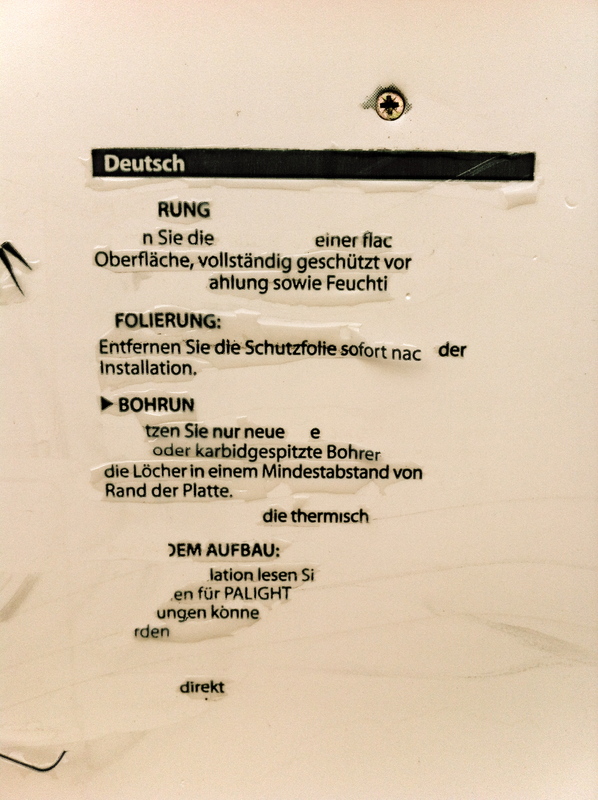 The instructions were multilingual, so I photographed a found poem in four different languages. Here is the Spanish version. 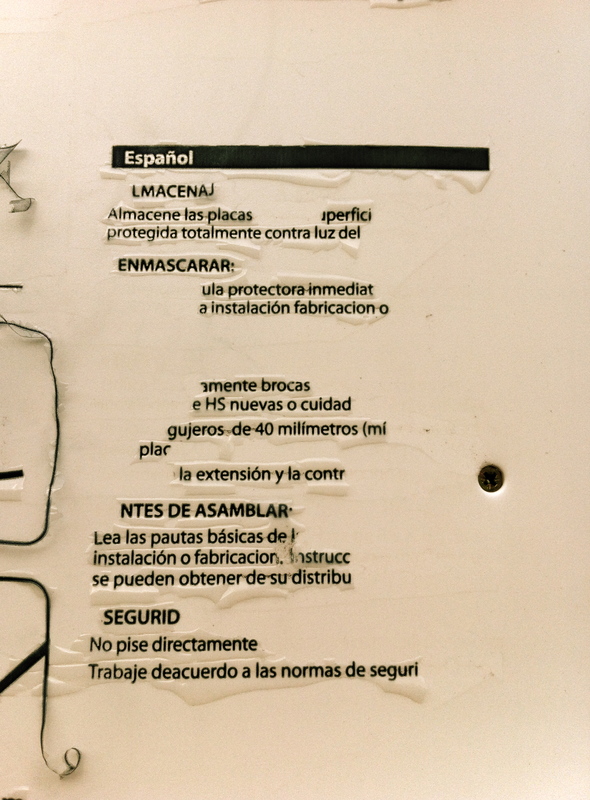 I’m not a Spanish speaker, so I don’t know how far the poem veers from the original text, but this is the most complete of the found poems. You can see that the headings of the original text remain, although the edges of some of the phrases have worn away, fashioning the shape and sense of a poem. More of the text is peeling away – even mid-sentence. Amazingly, it is a sentence about removing protective film. A single word closes the poem perfectly. This one is even more weathered. 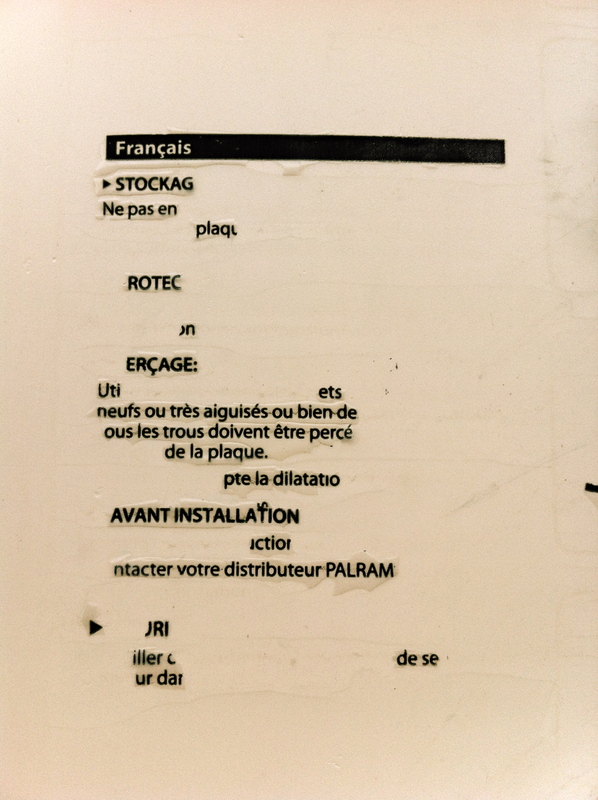 Two fragments are balanced on each end of a complete phrase, suggesting a word. Barely any text is left at all, and there are only two complete words, but somehow this is the most satisfying of the four. Perhaps it is the shape, or the words the fragments suggest, or the arrowhead leading the eye across the ‘page’; either way it seems to work better as a poem than the others. Perhaps less is more. 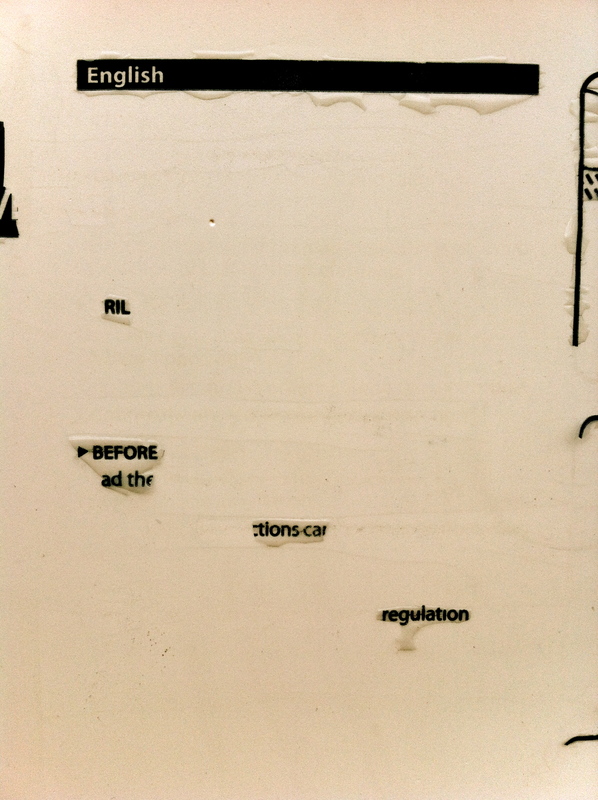 You can read more found poems here.